Ready to take the plunge with a high-end VR headset? Bad news. If you live in the UK, the price of admission is now a little more expensive. At least if you want the HTC Vive, anyway. Starting today, the hardware -- which includes two wand controllers and room-scale tracking -- will set you back £759, rather than £689 in Britain. HTC has blamed "recent currency valuation changes" and "the current value of the GBP" for the price hike, which is basically code for Brexit. OnePlus made a similar decision last month, upping the price of its "3" smartphone by £20 in the UK. A PC-reliant VR rig has always been expensive. 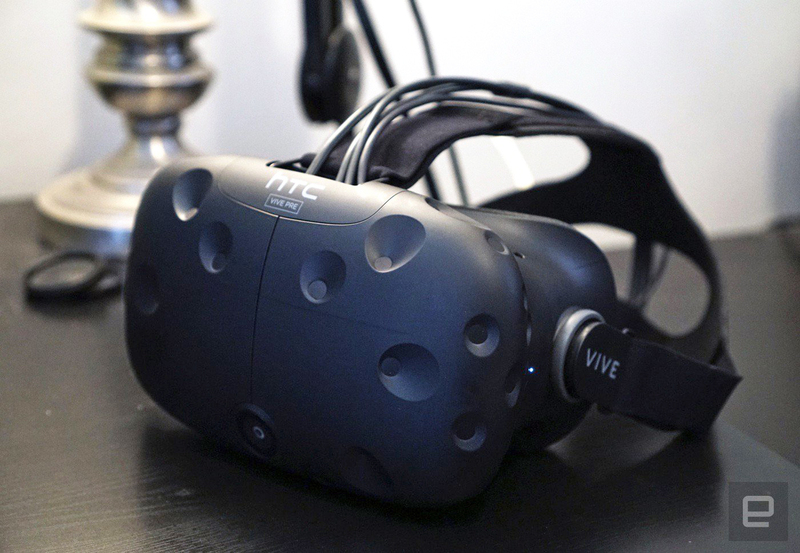 But the new cost of the HTC Vive puts it further into "early adopters only" territory. That could spell trouble for HTC, which is already struggling to sell smartphones, and the larger VR development community, which needs new users to buy their experiences. The price increase also creates an opportunity for Sony, as it prepares to launch the cheaper but less powerful PlayStation VR this autumn. With a stack of exclusive games like Resident Evil VII and Driveclub VR, the company has a better shot now at mass adoption.